It’s your child’s First Birthday! Perhaps, you planned a fancy party at a beautiful venue or you may be having a friends and family gathering at home. Either way do yourself a favor and hire a photographer to take some gorgeous shots of this memorable day. 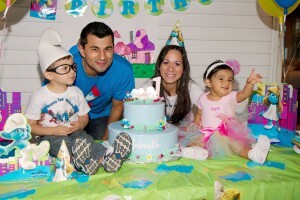 Nothing worse than realizing at the end of the party that no one bother in capturing your child’s birthday memories. Give yourself and your guests time to relax and enjoy the party. At Suheil Artistic we provide you with economical photography options for your child’s birthday celebration. You may want full coverage if you are having a fancy reception with a pretty album and much more or you may just need someone for a couple of hours to come to your home and deliver the birthday memories in a fabulous slideshow. We are ready for you, so feel free to call us for more information at 201-866-0959.